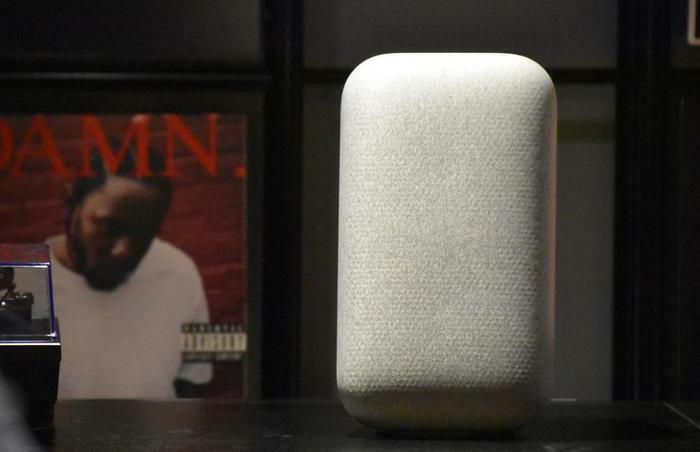 For all that Google’s smart speakers have done when it comes to launching the category into the mainstream, there’s one weak-link that’s continued to haunt them. The vision of the future painted by the Google Home and Google Home Mini can be infectiously exciting but it doesn't sound very good. The two speakers are a great place to start, sure. They're an impressive introduction to all that the Google Assistant can offer. But, in the face of these very audible shortcomings, countless other brands have pitched themselves as solutions. Eventually, Google had to respond. The Google Home Max is their biggest attempt yet to do so. As the name and branding might suggest, the Google Home Max really is - keeping things as simple as possible - a beefier, bulkier, more heavy-duty take on the regular Google Home. 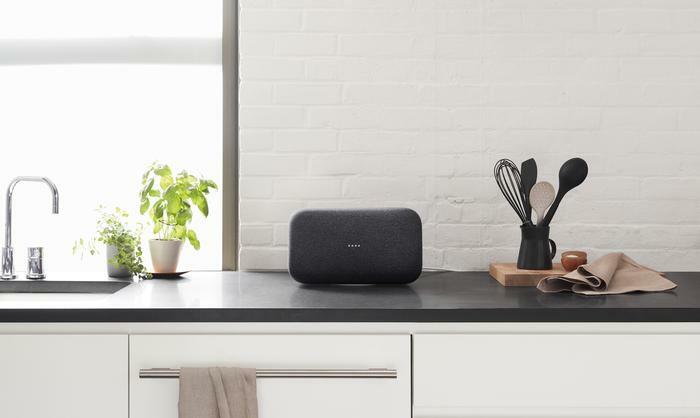 The Max looks like the OG smart speaker crossed with an industrial subwoofer crossed with something from Sonos. It’s a big, hulking block of audio tech that’s clean enough to look appealing but inconspicuous enough that you could easily throw it in any room in your home and it would probably fit right in. It doesn’t hurt that it can be easily synchronized with other Google and non-Google speakers via ChromeCast. Like the regular Google Home and Google Home Mini, the Google Home Max comes with all the same smart home, Assistant and voice-led music playback features you'd expect. The speaker supports YouTube Music, Google Music, Spotify and Deezer. The Google Home Max also supports aux-in playback where it’s smaller cousins don’t, giving a key advantage over them. Beyond audio playback, you can also ask the Max questions, tell it to play music, check the weather, set reminders, consult your calendar, listen to news bulletins and interact with both connected smart appliances and compatible third-party services. It even supports voice recognition for up to five users - allowing it to recognise who it is speaking to and adjust request results accordingly. Another point of difference here between the Max and other high-end Assistant-powered smart speaker is a new feature called Smart Sound. In theory and in practice, this is very similar to Apple’s HomePod and Sonos’ TruePlay tuning - but that’s not to say it’s any less compelling. It seamlessly adapts the playback of the Max to suit the environment within seconds, based on where it heard the user last speak to it. From the outset, the emphasis here is on big sound - rather than necessarily better sound. But, given the shortcomings of the original Google Home, the Max does emerge with advancements across both fronts. 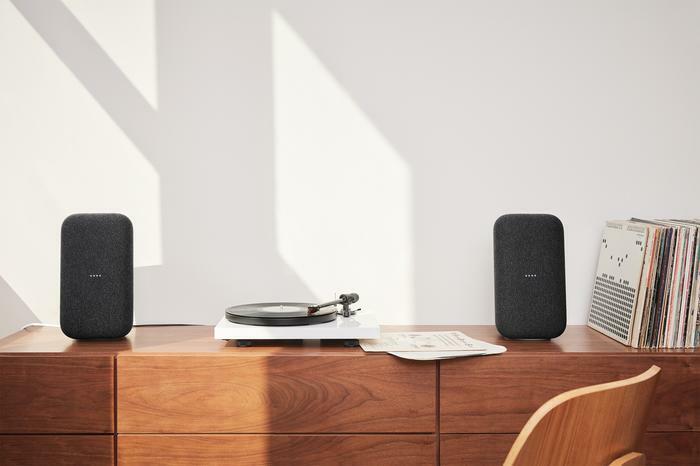 The Google Home Max is equipped with two 4.5-inch woofers, each with 22mm of excursion, and ends up about twenty times as powerful as the regular Google Home. That difference in firepower is immediately noticeable. When used to blast either more psychedelic tunes like Tash Sultana’s Flow State or funkier fare like Jungle’s new “Heavy, California”, the sound that comes out of the Google Home Max is manages the deft feat of being engrossing in both detail and volume. That said, I did encounter some issues commanding the smart speaker at louder volumes. 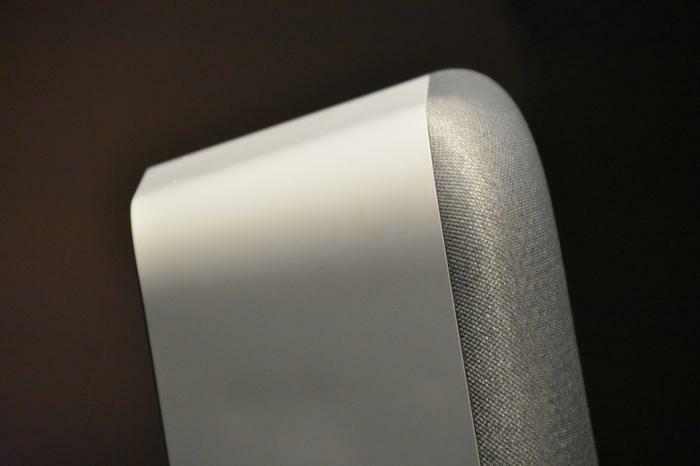 The Google Home Max does boast six far-field microphones - the same amount as the Sonos One and triple that of the regular Home. Unfortunately, we found it decidedly less reliable when it came to telling it to lower volume output that was too high for our liking. Your mileage may vary based on your living room setup and taste in music. At the end of the day, the experience of using the Google Home Max as my primary smart speaker wasn’t all that different to the regular Google Home. It just sounded way, way better - which it ought to, given the price-tag. The Google Home’s shortcomings as a speaker have been an Achilles heel that plenty of tech companies have looked to lean on in recent years. With the Google Home Max, Google themselves offer a solution for a problem of their own making. The Google Home Max hits a lot of the same notes as its more-affordable and affable predecessor. And, in spite of the higher price, that’s a tune that ends up being as catchy as it is resonant. As bigger as it is better.